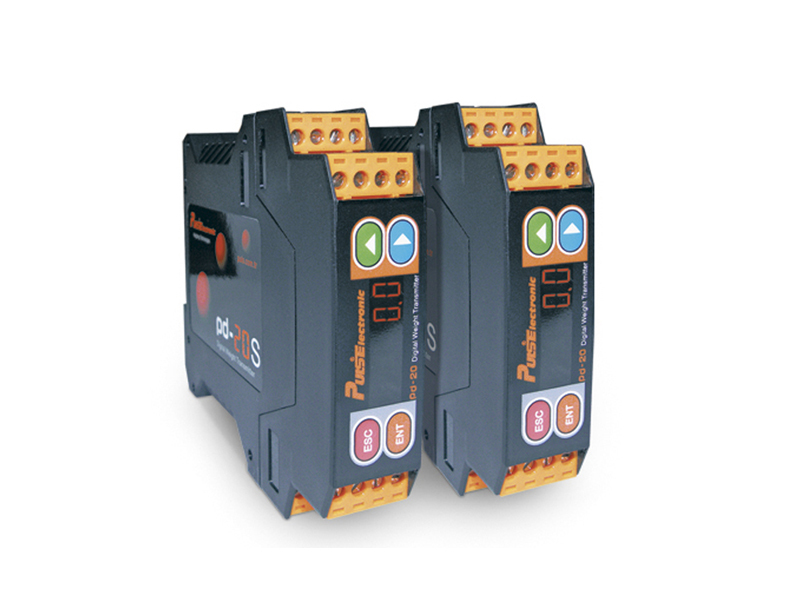 PD-20S transmitter, thanks to its compact design, 100Hz sampling speed,resolution of 100.000 and special antivibration and signal filters, is an innovative product for filling/packing machines, tank weighing, overload safety and control applications.It includes access to all parameters over ModBus, reading and writing, as well as remote access for calibration which is very useful for automation systems.Loadcell, Digital Input, Power Input, RS485 ModBus output, analogue output, transistor outputs are isolated independent from each other. Accordingly,high protection against electromagnetic interference is provided.For applications in which usage of dead weight is difficult, the system can be easily launched by parametric calibration. Available for loadcells with gain 0,5 ile 4mV/V (Loadcell input signal can be parametrically changed).